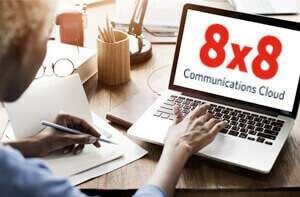 8x8 Virtual Contact Center Helps Software Developer Deliver Support Excellence | 8x8, Inc.
Bizmatics, Inc., developer of the PrognoCIS suite of electronic health records software, serves more than 26 types of general and specialty medical practices. To manage that kind of customer support complexity, PrognoCIS needed enhanced call handling and improved customer experience features. With 8x8 Virtual Contact Center, PrognoCIS is now achieving its primary goal: delivering support excellence to customers. 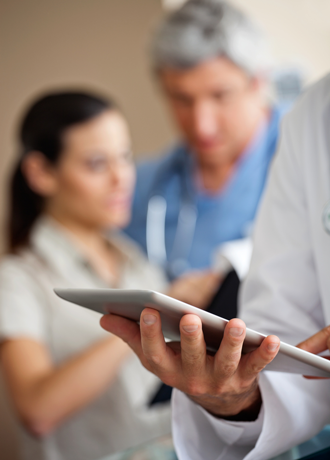 One of the many revolutionary changes in healthcare over the past few years has been the transition from paper-based patient charts to electronic health records (EHR). Founded in 2002 and headquartered in San Jose, California, Bizmatics, Inc. has been at the forefront of this transformation. Bizmatics is the developer of PrognoCIS, a fully integrated EHR and practice management solution that provides access to patient records, enables physicians to digitally write and route medication prescriptions, manages the medical billing cycle, and includes a self-service portal for patients. 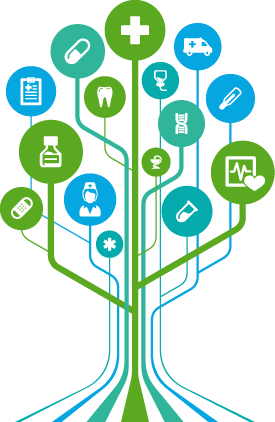 Because of their dedication to serving niche markets within the healthcare industry, the PrognoCIS software suite comes in 26 variations. This level of customization allows almost any medical practice—whether general or specialty—to store and capture patient data quickly and easily. But once PrognoCIS delivered this innovative EHR solution and additional related services to market, it soon faced another challenge: how to effectively support a growing customer base with diverse medical practices. The traditional on-premises PBXs the company was then using didn’t have the features or capacity to support efficient contact center operations. “There were a lot of limitations with our traditional PBXs,” says Andrey Ostashko, director of customer service for PrognoCIS. “We have three separate customer support centers and couldn’t track calls routed between them because information was lost in the transfer.” 8x8 easily provided interoperability between phone systems and the call center, to deliver the actionable data needed to improve customer service. The various entry points into the contact centers made it hard to understand key performance indicators (KPIs) related to customer support. The lack of flexibility in the previous phone system made it difficult to manage queues and agents. And even when system improvements could be identified for change, Bizmatics would have to pay their third-party provider to make these changes. And most critically, customers were not having a good experience when they called. A move to a cloud solution was a natural choice because Bizmatics delivers its own PrognoCIS software suite via the cloud. 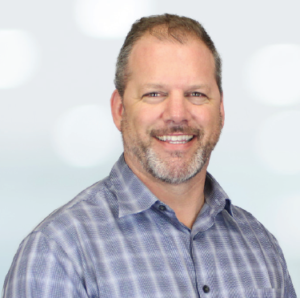 A move to 8x8 was also an obvious choice because Ostashko had successfully implemented 8x8 contact centers while working for a previous employer. Before making a decision, however, management did a thorough analysis and compared a number of leading cloudbased contact center solutions, including RingCentral, Five9 and Angel. The main selection criteria were feature richness, flexibility, HIPAA compliance and cost. At the end of the comparison, 8x8 was still the front runner on all three counts. In early 2015, Ostashko worked with the 8x8 account team to run a pilot so the company could further test the capabilities of the virtual contact center before making a final decision. The pilot was highly successful, leaving no doubt that Bizmatics had found the right cloud-based solution. The successful 8x8 pilot also made the transition to production much easier for the Bizmatics team. In August 2015, the new customer support contact center went live, with full deployment of voice and chat services. Shortly after, Bizmatics opened a second contact center for revenue cycle management (billing). And, since the 8x8 platform is interoperable with the existing hardware, no additional equipment purchases needed for this powerful upgrade solution. An immediate benefit of the new 8x8 Virtual Contact Center has been a much improved customer experience. Metzger and Ostashko both point to 8x8’s flexible, web-based system administration capabilities as a key factor in that improvement. Ostashko notes that centralized queue management and direct access routing also make it easier for customers to reach the right agent with the right skill set to assist them. 8x8’s management tools have increased agent productivity as well. 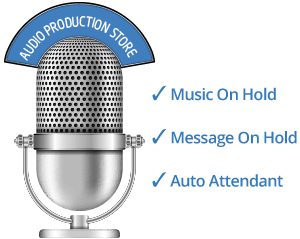 Supervisors use 8x8 call recording and real-time monitoring to coach individual agents and evaluate their performance. The 8x8 wallboard gives managers an instant snapshot of the entire contact center, so they can see how many callers are waiting and which agents are available—and then make appropriate adjustments to the queue. One of PrognoCIS’ mission-critical expectations in deploying a stateof-the-art, cloud-based contact center is to drive customer retention and brand recognition through support excellence. Metzger sees this as a long-term investment for the company—one that he believes will yield significant ROI. Impressed with the granular call tracking enabled by 8x8’s API, Ostashko and his team are now planning to integrate the virtual contact center with SugarCRM to further enhance call handling.